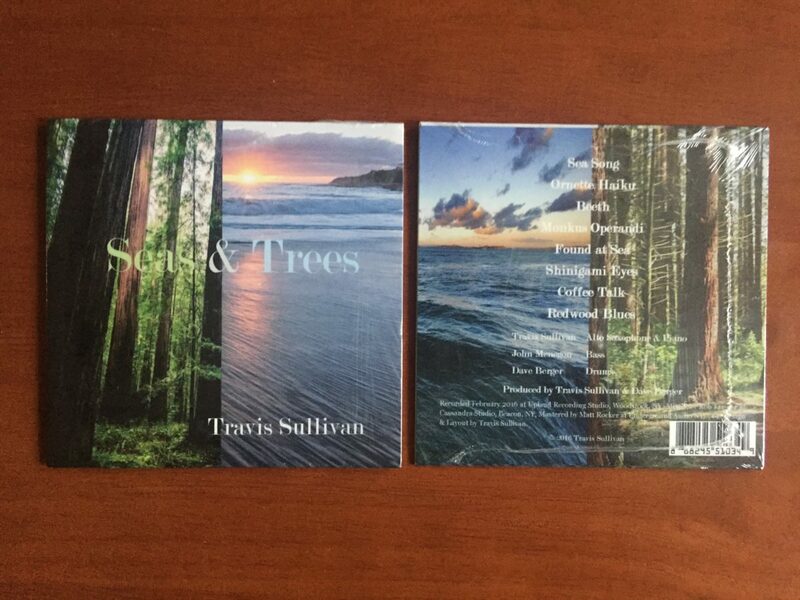 “Seas & Trees” CD has arrived. For sale tomorrow! The brand spanking new “Seas & Trees” CD has arrived, and will be for sale tomorrow at the “Seas & Trees” CD Release Show at Caffe Vivaldi. I’m really happy with the way every aspect of this project has turned out. It’s been a great learning experience getting the music “out there” in a DIY fashion. This is my 5th CD as a leader, and my first self release since my first album “As We Speak” way back in 2000. Tomorrow night, the plan is to play the songs on the album in the same order that they appear on the CD, which is something I haven’t done before in performance. So if you can read the fine print on the pic below, you’ll see the set list for tomorrow night as well. 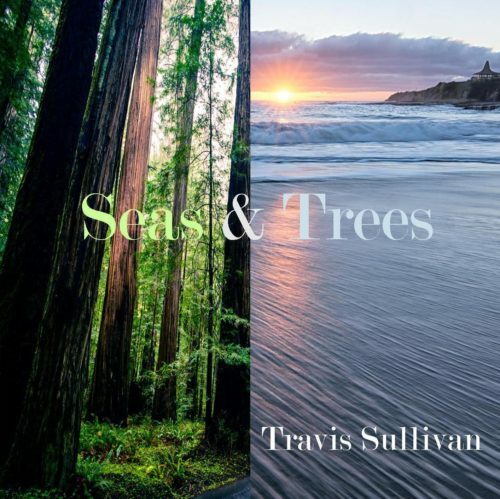 Also, “Seas & Trees” is now available at CD Baby, and also at BandCamp.com. Distribution on ITunes, Amazon, and more coming soon too. “Seas & Trees” was recorded in February 2016 at Upland Studios in Woodstock, NY. It features me on alto saxophone and (making my recording debut on) piano, John Menegon on bass (and also the recording engineer for this endeavor) and Dave Berger on drums (who co-produced the album with me). The music was composed by yours truly, mostly during my year out on the West Coast, and is influenced by artists such as Ornette Coleman, Keith Jarrett, Thelonious Monk, and the baddest improviser of them all, Ludwig van Beethoven. We’re all very excited to bring this music to you, and I hope you can make it out tomorrow night to the show!